At Lyn Candles we sincerely hope that you will be extremely satisfied with you purchase. However, if you are not completely satisfied we will be happy to accept returns up to 28 days from the date of purchase. Goods must be returned in the condition that you received them. To receive your returns reference number, please email us at : enquiries@lyncandles.com with your name, address, phone number and order reference and we will contact you ASAP. When returning items please keep a proof of posting. Proof of posting cannot be accepted as proof of delivery. We cannot accept responsibility for lost or damaged parcels. 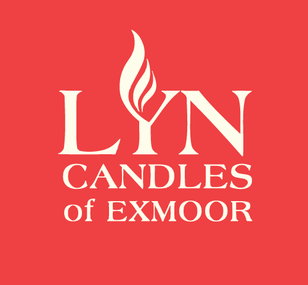 At Lyn Candles, we hand pick your order and pack it with the greatest of care. Currently we supply only to customers within the UK to which our Free delivery offer applies for orders over £55. Orders under £55 will be charged an additional £3.80 P&P However, customers wishing to place an order outside of the UK, please contact us with your enquiry and we will strive to assist you. Remove all packaging and embellishments. Keep out of the reach of children and pets. Place on a level heat protected surface away from draughts and flammable materials. Never leave a burning candle unattended. Always keep the wick trimmed to 5mm. Stop when 2mm of wax remains. Payment is accepted over the phone with most major debit and credit cards. We also accept payment by Paypal & BACS full details here.